This awesome alluring wedding gown is perfect for a summer wedding. It features a sparkling embellishment making the bodice whole attire look amazingly beautiful. It also includes a fitted bodice making the wearer look attractive. 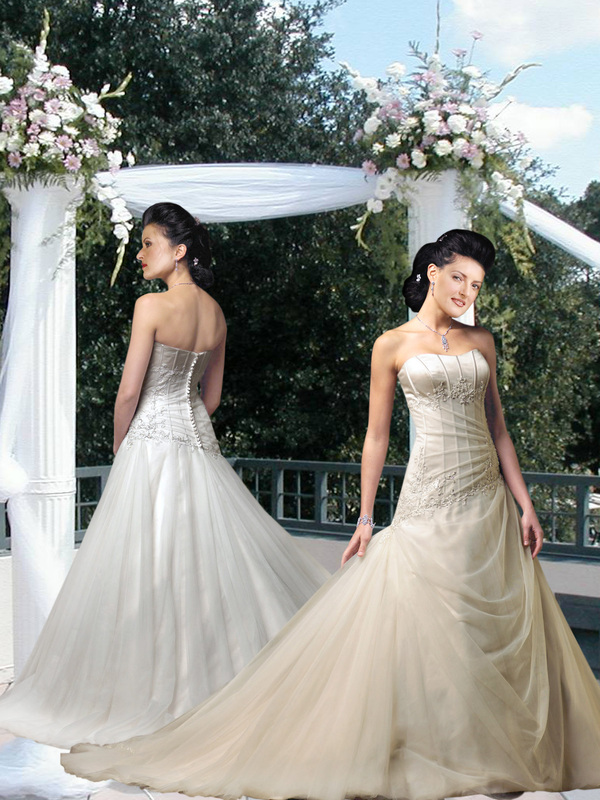 The overskirt is netted which actually gives a draping effect making you look like a princess.